For many Muscovites, the beginning of the working day with a long breakfast in Bochka restaurant has already become a good tradition. The dishes from the ‘dawn menu’ are served from 6am to 2pm. 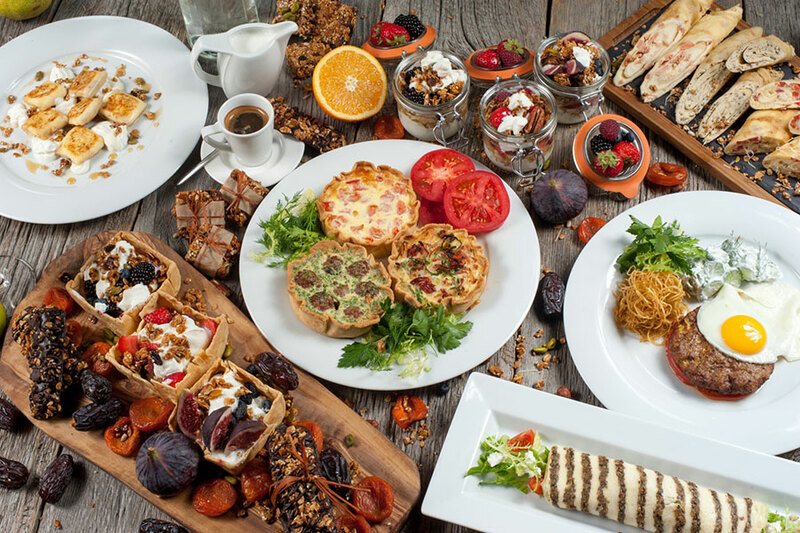 Our all-time hits are house cottage cheese pancakes, grain porridges and a wide variety of egg dishes. With the beginning of autumn and winter season, our Chef Igor Bednyakov has significantly diversified the breakfast menu by adding new flavors, bright colors and chef’s inventions. A pancake omelette, for example, is a kind of know-how combining two most popular morning meals: a Russian thin pancake and an omelette with a variety of fillings. There are new items of the morning menu: quiche lorraine classic with bacon (360 rubles), quiche lorraine with cheese (360 rubles), quiche lorraine with meatballs (390 rubles), pancakes omelette with tomatoes and cheese (340 rubles), pancake omelette with mushrooms (340 rubles), pancakes omelette with salmon (390 rubles), marbled beef-steak with eggs (490 rubles), mini-pancakes with cottage cheese, banana and maple syrup (290 rubles), granola with homemade yogurt and fresh berries (540 rubles), omelette with green salad, tomatoes, goat cheese and mushroom mousse (350 rubles). Thinking about the active people of Moscow by night, the restaurant has expanded breakfast time at the weekend – you are now welcome on Saturdays and Sundays from 3am to 2pm. We wish you a very good morning!